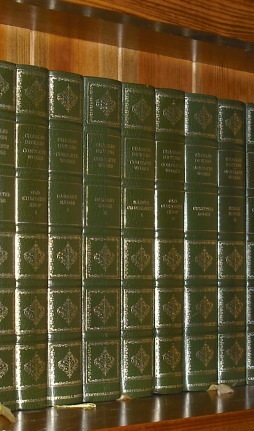 The complete 36 Volume Heron Centennial set of Charles Dickens' collected works. 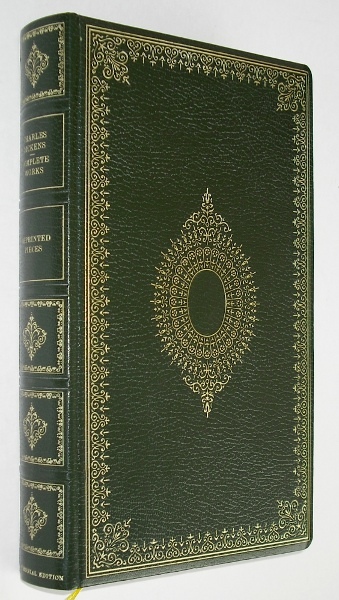 Bound in rich green faux-leather 'kidron' cloth with gilt lettering and design. Raised bands. Decorative endpapers. Frontis portraits. Silken ribbon-markers. A general introduction by J.B. Priestly. 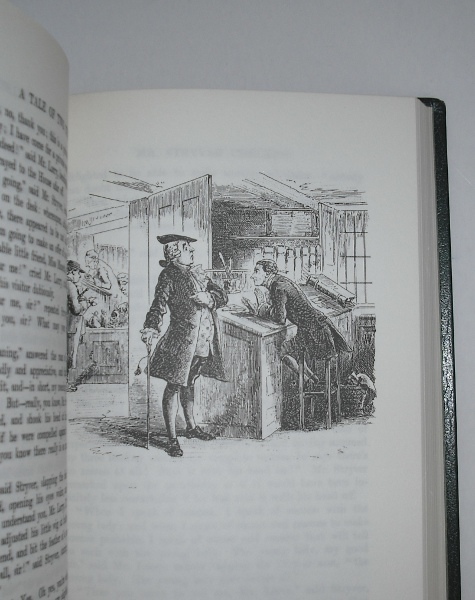 Each volume has it's own introduction and is complete with illustrations from the original editions by such artists as Phiz and George Cruikshank. As well as all the novels (usually in two volumes) the set contains all of his short stories, travel writing, poems and miscellaneous papers. 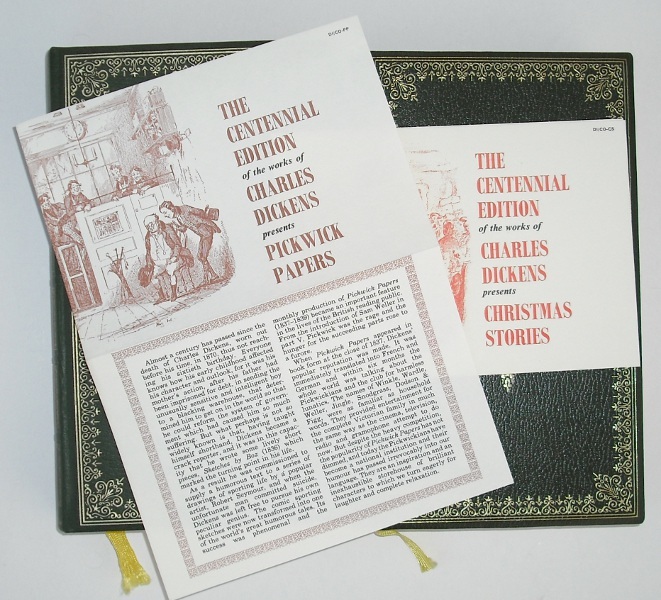 Some titles still contain the publisher's inlay detailing when, where and how it was written and it's significance within Dickens' oeuvre. A tremendous set of this popular edition. Small 8vo. (210x125mm) Very mild foxing to top edges. Slight fading to gilt of Miscellaneous papers I. 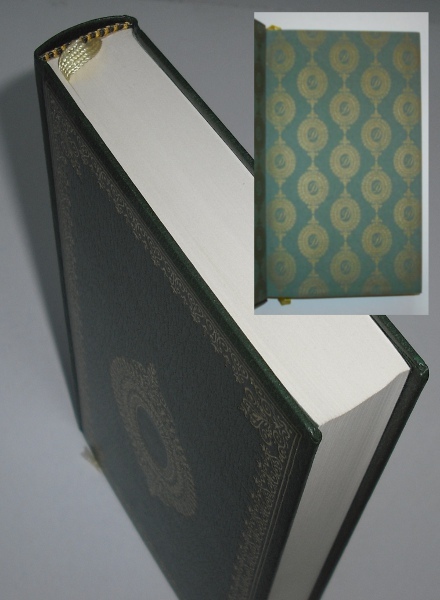 Most volumes have markings to free-endpapers due to a previous owner's protective jackets. However the jackets have protected the covers meaning the set is extraordinarily clean and bright externally. Contents are crisp and clean and bindings tight. Despite (or because of) the small flaws this is overall one of the best set of the Heron Dickens we've handled. Very good+ *Shipping costs to UK included in price, due to large size overseas orders may be subject to extra postage charges.